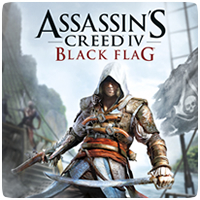 Ubisoft have announced a patch for Assassin’s Creed IV: Black Flag that will enable the game to render in 1080p natively on the PS4. The game currently runs at 900p, which is upscaled to 1080p at 30fps. The game shipped with 900p resolution, but developers then used xtra time to get the PS4 version running in native 1080p resolution. Alongside the resolution boost the patch includes a brand-new anti-aliasing technique to make the visuals even crisper, “Pay special attention to finer details like the ropes on the ships if you want to get an eyeful of what we’re talking about,” says Ubisoft. The Xbox One version of the game will also be getting a patch with the new anti-aliasing technique, but will remain at 900p resolution, upscaled to 1080p.